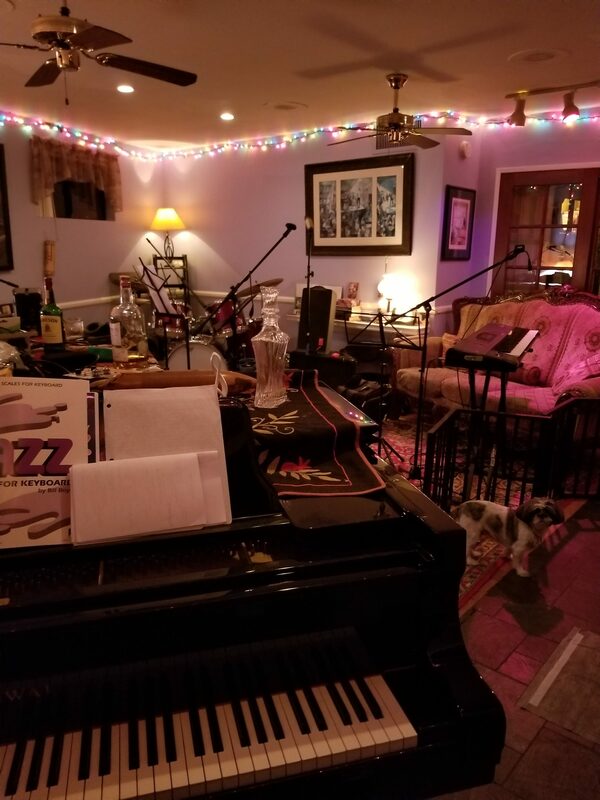 I’ve been in this room a heck of a lot for the past 18 months, writing/singing/recording my own tunes, playing with my favorite musicians, rehearsing with my favorite bands (Retro 80’s Band, and soon reuniting w/ “Pot Roast – a Tribute to the Music of Meat Loaf and Jim Steinman”), as well as singing with my favorite A Cappella choir (TheOverTonesACappella.com). And in between all that, marathon practice sessions, marathon parties, animal liberation activist sleepovers, dance parties (sometimes for 1), whiskey nips, dog naps, my own naps, and not least of all … unexplained MAGIC. Welcome to my website, welcome to my world. You are welcome here. Thanks for stopping by….